When it comes to matters of Hindustani Classical music, unanimity in opinion is almost never achieved. However, one opinion, which in the eyes of purists and aficionados is near unanimous, is that the Gwalior gharana is the oldest of all. The oldest, and most vital for the development of gharanas to follow. 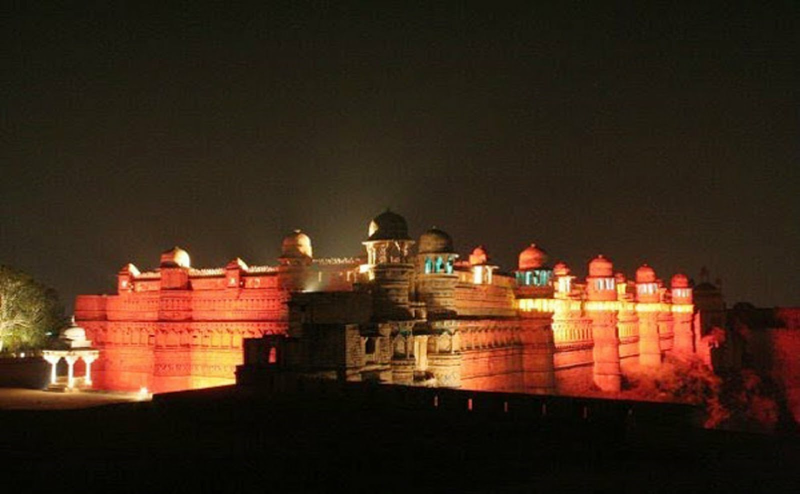 Situated in modern day Madhya Pradesh, the city of Gwalior has had a game-changing influence on Indian music. It was an important place for cultural activities in general, but no legacy of the city has produced and endured more than its music. The Gwalior gharana first rose to prominence during the reign of Jalal-ud-din Mohammad Akbar, a passionate patron of the arts who was much responsible for providing talent with opportunity in his time. Generally considered to be the founders of the gharana are Ustad Nathan Khan and Khadir Pir Baksh. Ustad Nathan Khan left for Gwalior from Lucknow with his grandsons, Hassu and Haddu Khan to practice and perform under the patronage of Maharaja Jhinkuji Rao Scindhia. His young grandsons would go on to further define the gharana, under the influence of Bade Mohammad Khan, another ‘maharathi’ of the gharana. Steeped in the style of ‘Khyal’ gayaki, the gharana has a practice of selecting relatively well-known ragas. This is because it is at its centre listener-friendly and makes an effort to make the listener feel comfortable and involved. Choosing prevalent ragas relieves the audience from the task of trying to recognize the raga. Another, and perhaps the most defining feature of the gharana, is its unyielding stress on simplicity. This too follows from the ideology of refraining from bombarding the listener with too many questions and too much activity. It was also held by the early innovators of the style that simplicity alone can reveal the true colour and impact of the raga. Here, while the raga may be embellished with ‘Alankaar’(melodic ornamentation) and ‘ Raga Vistaar’(building on the melody), in keeping with a listener-friendly attitude there is no use of ‘Tirobhava’, or the use of melodic phrasing to shield the identity of the Raag. The presentation is generally easy, laidback, and a chief aspect of it is the ‘bandish’. The full scope of the melody and guidance for vocalization is believed to be realized by the ‘bandish’. The ‘Asthyayi’ section is sung twice followed by the ‘Antara’, which in turn is followed by ‘swar-vistaar’ in ‘madhya laya’(medium tempo). This slow rendition of notes is known as ‘behlavya’, and is guided by the concepts of ‘Aaroh’(ascent) and ‘Avroh’(descent). ‘Dugun-ka-aalaap’ is next in which groups of two or four notes are delivered in quicker succession, while maintaining the earlier tempo. This is followed by the ‘Bol-aalaap(s)’ where different words are vocally interpreted in different ways, and the ‘Murkis’, where notes are sung at a faster pace with the use of ornamentation. Then come the ‘bol-taan(s)(melodic progressions with the words of the raga). Other ‘taan’s follow. 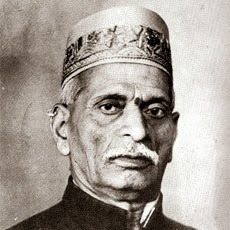 he concept of ‘Taan’ became a chief distinguishing feature between the ‘Dhrupad’ and ‘Khyal’ styles. As far as the Gwalior Gharana is concerned, ‘taan’ was introduced to it by Bade Mohammad Khan and it soon grew to encompass a wide variety of ‘taan(s)’ The ‘Sapat-Taan’ is pivotal to the gharana. Here the notes are dealt with in a straight sequence at a ‘vilambit’ pace (slow tempo). Moving on to other aspects, singers of the style lay emphasis on flow and very importantly, on ‘Aakaar’ (delivery of vowels) , especially for ‘aalaaps’. This stress on ‘aakaar’ and fluency can have its impact on clarity, giving many exponents of the gharana a distinctive “stuttery” vibe in their delivery of ‘bol(s) and ‘aalaaps’. The instrumentation is not pretentious. It is in keeping with the code of simplicity and accessibility. In most cases a standard setup would include tabla, tanpura, and harmonium as a foil to the vocals. The basic purpose served is to provide a complimentary frame within which the vocals can thrive. The singing is predictably the focus of the performance of a raga. Some favoured ragas include Bhairav, Yaman, Sarang, Miyan ki Malhar, and Alhaiya Bilawal. To this day he Gwalior Gharana, in its presence and influence is in many ways the Professor Xavier of the gharana culture. The old, talismanic, style which, directly and indirectly, honed the skills of future innovators while still being a giant in its own right. Its legacy is preserved by modern-day exponents of the style, which include Krishnarao Shankar Pandit, L.K Pandit, Laxmanrao Bodas, and Padma Talwalkar. More akin to a revolution than a way of approaching music, the gharana is the embodiment of artistic bravery, especially for its time. The courage to keep it simple, to make the consequent sacrifices for simplicity, to enhance the essence and dispense with the frills are a few reasons for the reverence it demands. To shove aside displays of one’s maximum ability for the sake of the musical product is an increasing rarity, but here is proof that this consciousness existed centuries ago. The music of the city of Gwalior has something for everybody -- for the purist it is a measuring stick, for the student a perfect introduction, for the lay listener it is simply pleasant sound, and for the musicologist, it will forever be the place where Tansen first learned his chops. At present scion of Gwalior Gharana is Meeta Pandit.